The cocktail industry is booming and along with it our appetite for luxury vodkas, botanical gins, Asian whiskies and small-batch rums. Yet there are surprisingly few high-end tonic waters and premium mixers to go with them. Until now, that is. Step forward Joyce and Raissa de Haas, the Dutch identical twin founders of Double Dutch, a start-up drinks company that is taking the industry by storm with its new “premium” mixers range. Cognac with cranberry tonic, anyone? Or how about a vodka on the rocks with pomegranate and basil? For Christmas, a limited-edition Spices and Oakwood mixer, fruity, spicy and aged in oak barrels like a fine wine no less, is offered as the perfect partner for Japanese whisky or spiced gin. The de Haas twins have done their homework and clocked that Londoners are becoming more discerning tipplers, demanding natural flavours like herbs and spices, and rate quality over quantity. “No one’s doing vodka shots any more. The trend is for low-alcohol cocktails like wine spritzers or limoncello and tonic. Younger drinkers are much more health aware than they used to be and looking for drinks with fewer calories and less sugar, so we’re going back to using purer flavours in our mixers, made with really good-quality ingredients,” says Joyce. The Double Dutch version of Indian tonic uses a traditional recipe, with quinine of course, plus a dash of pink grapefruit, while the “skinny” version simple contains less sugar and is all the better for it. “Both have a hint of juniper berry for an earthy, floral finish, while the pink grapefruit softens the harsh taste of the quinine,” says Raissa. But it’s not just the taste. Wisely, they have invested in the look of the brand, choosing old-fashioned 200ml glass bottles and recruited Designbridge to create snazzy black-and-gold labels depicting two long-haired identical mavens clinking glasses. Not surprisingly it was soon in cocktail bars at the Dorchester, Nobu Shoreditch and Novikov in Mayfair, while as a standalone “adult soft drink” it looks the part and is palatable enough to appeal to London’s growing crowd of sophisticated soberistas. Today Double Dutch produces up to 100,000 bottles a week to an ever expanding list of countries, 27 and counting. The company, 80 per cent of which belongs to the twins, employs 11 people. While Joyce is responsible for the finance and production, Raissa is in charge of communications, marketing and employment. Both are hard at work, rolling out their drinks across the US and Asia. That’s all pretty impressive for a brand that began life as a joint MA dissertation in technology entrepreneurship at University College London three years ago. The twins grew up in Antwerp and had degrees in business management and finance before they came to London, where their idea for the business was inspired by their passion for partying. Their dissertation — which had to focus on an app or digital-based business — won them first prize, for which they received a year’s free office space, mentoring advice and a £10,000 investment grant from the university towards starting the business. 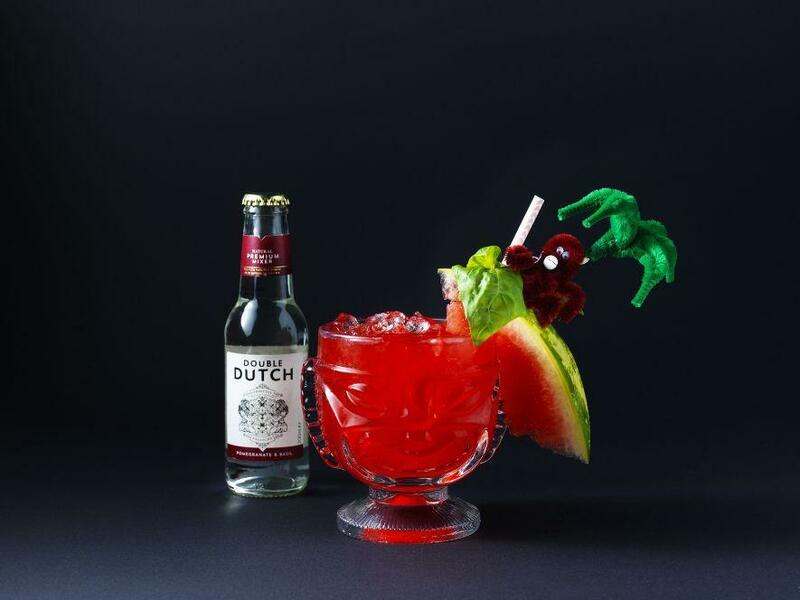 Double Dutch launched three years ago and its first batch of 6,000 premium mixers was produced four months later. The women clearly have good “noses” but also employ the expert nose, taste buds and biochemical nous of a professional “flavour developer”. As for tips to improve cocktails at home in Christmas party season, they advise making ice cubes from tonic water, which won’t dilute drinks like watery ice cubes. And for extra zing, add a little citrus zest into each cube first. Simple, really.